The SSE Arena, Belfast is owned by the Odyssey Trust Company. 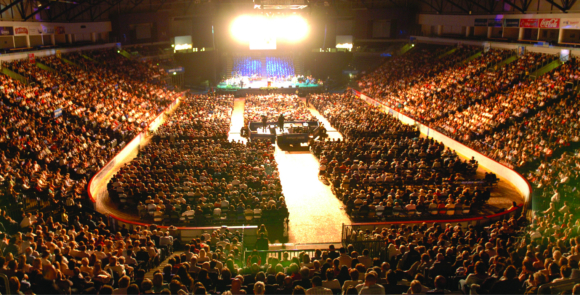 The SSE Arena, Belfast is an indoor multipurpose Arena with an audience capacity of up to 10,800 that has attracted many international performers. The range of events includes Concerts (popular and classical), Family Shows, Theatre Shows, Comedy, Sports Events, Exhibitions & Conferences. It is a highly versatile space with an ice floor that provides the home for the Belfast Giants. 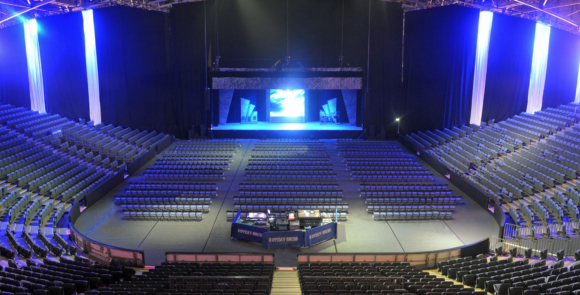 The Arena has worked hard to become firmly established as a key venue and fixture on major European and World tours. Still a relatively young venue, the Arena has enjoyed phenomenal success and popularity in Northern Ireland - with more than 9 million attendees since opening in December 2000. Amongst the many highlights that have attracted vast crowds to the Arena have been concerts by a list of names that reads as a veritable who's who of music, ranging from Adele to U2 and Michael Bublé to Black Sabbath. The SSE Arena Belfast hosted the MTV Europe Music Awards in 2011 and the BBC Sports Personality of the Year in 2015. 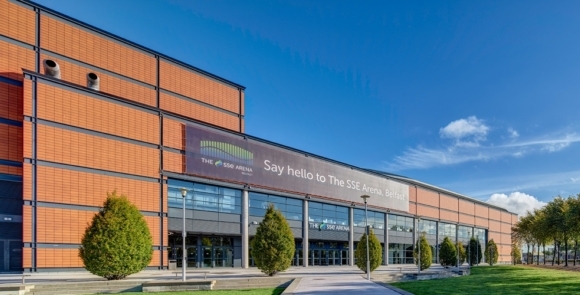 The SSE Arena, Belfast has hosted numerous sporting events including Tennis Legends, Arenacross, and The Irish Indoor Athletics Championships and proud to have twice hosted fights for local boxing hero Carl Frampton. The Boston Bruins were the first NHL team to visit Ireland and play at the Arena. In 2015 the four top collegiate universities from the National Collegiate Athletic Association (NCAA) played in our first Festival of Hockey. A world first for the NCAA to play competitive games outside of the USA.